Posted	 May 3, 2017 by	Morning Sadhana & filed under Sadhana. Waking up early can be a daunting task, especially when you first attempt it. Nevertheless, being an early riser can significantly boost your personal productivity, so it is an essential routine. Satwant Singh Khalsa has been teaching and practicing Kundalini Yoga under the guidance of the Master of Kundalini Yoga, Yogi Bhajan, for over forty years. Having also worked in the corporate world for two decades, Satwant Singh is at home in both the Sadhana Room and the Board Room. A KRI certified Kundalini Yoga Teacher, he teaches at Raj Yoga Center and Sat Nam Fest. 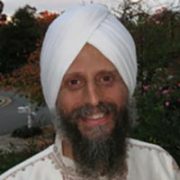 As one of the Herndon Ashram community leaders, he serves on the Administrative Council, the Sadhana Committee, helps manage the Raj Yoga Center, and is a Board member and Treasurer of Sikh Dharma of Virginia. He now serves as Executive Director of the Siri Singh Sahib Corporation, a non-profit organization, which manages the family of organizations the Siri Singh Sahib, Yogi Bhajan established.